Adam currently works as the Video Director for the Office of Digital Strategy at the White House. Previously Adam spent time as a photographer, video editor, producer, director and writer mainly in public television and documentaries. A native of Kensington, MD, Adam received his B.A. from Elon University. Ahead of President Obama's remarks on the Affordable Care Act, we're releasing never-before-seen footage from the days when the bill was passed and signed into law. Welcome to West Wing Week, your guide to everything that's happening at 1600 Pennsylvania Avenue. 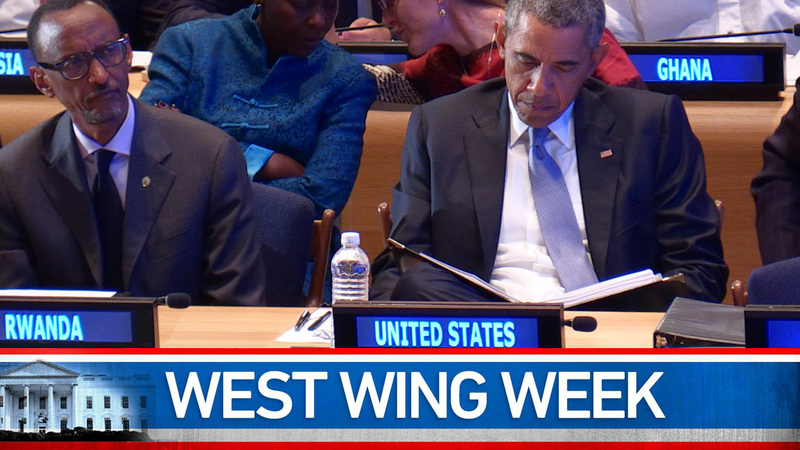 West Wing Week: 10/2/2015 or, "Make It Matter"
West Wing Week: 08/07/15 or, "The Measure Of A Leader"
West Wing Week: 07/24/15 or, "A New Direction"
Welcome to the West Wing Week, your guide to everything that's happening at 1600 Pennsylvania Avenue -- and beyond.